Coral reefs, the most diverse marine ecosystems, are under extraordinary pressure from global climate change, fishing, and pollution. Our coral reef field research centres on Kiritimati (pronounced ‘Christmas’), in the central equatorial Pacific Ocean. 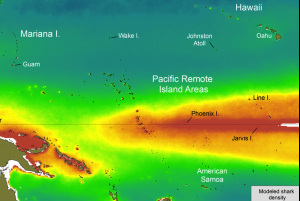 The world's largest atoll, Kiritimati has a strong gradient of local disturbances, from its heavily impacted northwest coast where the population is concentrated to the remote uninhabited end of the atoll, which has some of the world’s healthiest reefs (Watson et al. 2016 Ocean & Coastal Management). Kiritimati also experienced globally unprecedented heat stress during the 2015-2016 El Niño, and suffered mass coral mortality as a result. The atoll is thus an ideal location to study how global climate change and local human disturbances interact to change coral reefs, and to test the resilience of these ecosystems. Macroecology, the broad spatial-scale study of relationships between organisms and their environment, has provided novel insight into species' abundance, distribution and diversity patterns, and their underlying mechanisms. These fundamental ecological properties are, however, increasingly influenced by human disturbances. Our macroecological research thus seeks to elucidate how anthropogenic disturbances, known broadly as global change, are changing the size structure and diversity of marine communities, and the influence of these disturbances relative to abiotic and biotic natural influences. Estuaries are amongst the most important and productive marine ecosystems globally. They also are amongst the most at risk. British Columbia’s Fraser River Estuary (FRE) is the mouth of the largest salmon bearing river in the world, supports the highest concentration of migratory birds in Canada, and is home to half of BC’s rapidly expanding urban population. Without timely and effective conservation management, these goods and services are at risk. Water pollution and loss of habitat resulting from industrial and urban development, exploitation of fish stocks, and climate change are a few of the key threats. Research effort to date in the FRE has focused on identifying its natural assets and their threats. 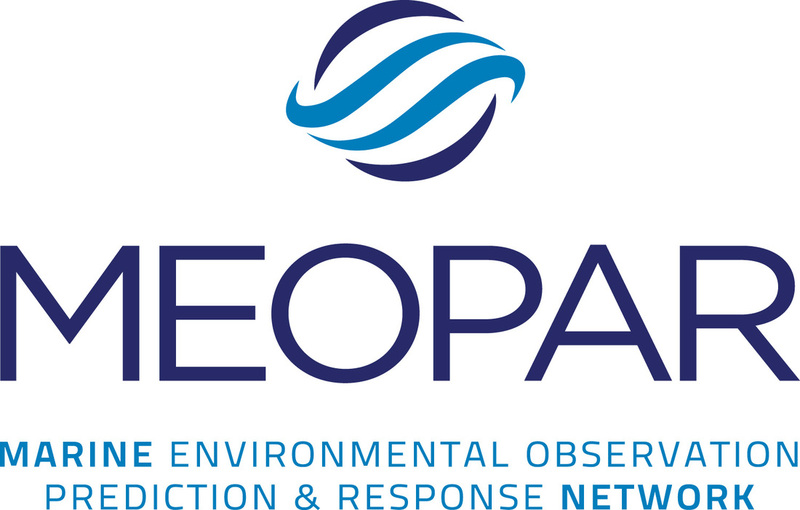 This Meopar-funded project will instead focus research on the identifying key management actions needed to ensure the long-term resilience of this unique estuary. Led by post-doc Laura Kehoe, and conducted in close collaboration with Dr. Tara Martin, this project brings together experts in the ecology, sociology, economics and management of estuarine systems and the FRE, along with fishers and other nonspecialists with local knowledge to estimate the costs, benefits, and feasibility of alternative management actions for conservation of the FRE. Team: Laura Kehoe, Jessie Lund; Collaborator: ​Tara Martin; Image: Bald Eagle on the Estuary, by ​Tom Middleton. ​Eelgrass meadows provide many ecosystem services to coastal waters, including serving as structure for food and refuge of commercially-important fishes. 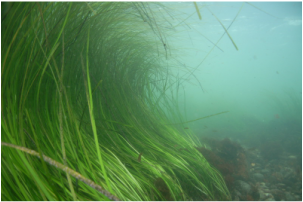 Global declines in eelgrass meadows have led to increased interest in understanding the baseline characteristics of healthy eelgrass communities, how reliant fish communities are on eelgrass habitats and how they respond to deterioration of these habitats. We are currently assessing variation in eelgrass fish and invertebrate diversity, as well as juvenile salmon use of eelgrass habitat, across coastal BC through the following projects: (1) In partnership with the Pacific Salmon Foundation (PSF), post-doctoral Fellow Josie Iacarella built a working group of academic, government, non-government, and First Nations organizations who conducted fish surveys across coastal BC and synthesized the data collectively (Iacarella et al. 2018 Global Change Biology); (2) M.Sc. student Aaron Eger worked in partnership with World Wildlife Fund of Canada in the Skeena Estuary to help better understand the role eelgrass plays in support of marine food webs; (3) M.Sc. student Lia Chalifour is working in partnership with scientists at Raincoast Conservation Foundation and PSF in the Fraser River Estuary to quantify use of eelgrass habitats by juvenile salmon. Building on my earlier work on sharks (see below), for the past seven years, we have focused on quantifying changes in the abundance of Pacific reef sharks, an area where remote islands have until recently provided de facto protection for these predators. In collaboration with Marc Nadon at NOAA's Coral Reef Ecosystem Division, we have shown that the 'human signal' is now the primary determinant of abundance of grey, whitetip and other reef sharks in the Pacific Ocean, overwhelming the influence of oceanographic productivity and temperature (Nadon et al. 2012 Conservation Biology). We estimate these species have declined to about 3-10% of their baseline levels on U.S. Pacific coral reefs. Using a long-term citizen science data set, we have also estimated trends in abundance for eastern Pacific sharks and rays at Cocos Island, which suggest that this UNESCO heritage site and MPA is not effectively protected (White et al. 2015 Conservation Biology; Baum & White 2015). We recently published a review of the ecology and conservation status of reef sharks (Osgood & Baum 2015 J. Fish Biology) and are currently working on testing methods for estimating shark trends. Next up? A new collaboration with Meag McCord at the South African Shark Conservancy! Decades of research have shown that changes in predator abundance can have far-reaching ecosystem consequences. Yet in the ocean, where cascading effects of predator depletions, recoveries, and invasions could be significant, such effects remain poorly understood. Coupling time series analysis, meta-analysis, and experimental manipulations, we examined the community-level consequences of shark depletions in U.S. coastal waters, and showed that as abundances of all 11 great sharks that consume other elasmobranchs (rays, skates, and small sharks) fell over the past 35 years, 12 of 14 of these mesopredatory prey species increased (Myers et al. 2007 Science). A trophic cascade also emerged as these effects cascaded down from one of these mesopredators, cownose ray, to its bay scallop prey, terminating a century-long scallop fishery. Synthesizing the emerging body of evidence for oceanic top-down control revealed that while predator depletions often lead to mesopredator release, trophic cascades seem limited to instances when oceanic predators link to nearshore food webs, and are inconsistent in the pelagic realm where effects often attenuate at plankton (Baum & Worm 2009 J. Animal Ecology). Predator diversity can dampen cascading effects except where non-selective fisheries deplete entire predator functional groups. Continued research is needed to understand the relative strength of top-down and bottom-up control, and interactions with intensifying stressors such as climate change. 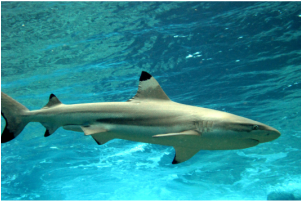 Sharks are iconic oceanic predators, but many species are highly vulnerable to overfishing. 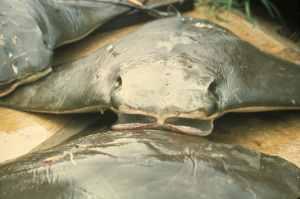 Exploitation of these predators - both as bycatch and as direct targets for their meat and fins - has increased substantially globally in the past three decades. Yet few long-term data sets exist for these species. Concern about the impacts of fisheries on marine populations and ecosystems has been on the rise. 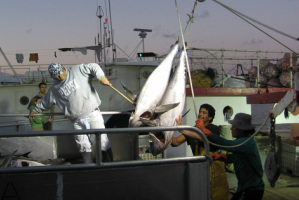 Scientific opinion about the extent of overfishing is, however, polarized with fisheries scientists contesting the severity of some reported declines. Scientific debate is healthy, but most criticisms have done little to illuminate the overall state of fisheries since they typically draw upon only a limited number of case studies. Reconciling these divergent views requires comprehensive data and rigorous empirical analyses. To meet this challenge, we co-developed the RAM Legacy Stock Assessment Database along with Daniel Ricard (Dalhousie University), Olaf Jensen (Rutgers University), Coilin Minto (Galway-Mayo Institute for Technology, Ireland), and colleagues at the University of Washington and fisheries institutes around the world (Ricard et al. 2012). This new global fish population dynamics and fisheries database is named in honour of our mentor and friend, the late Ransom A. Myers. Version 1.0 of the database was released publicly in October 2011, and includes recent abundance and fisheries time series data for over 350 marine fish and invertebrate populations from around the world. 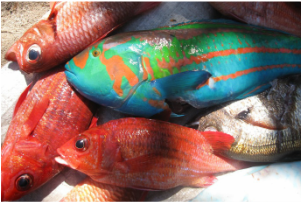 Our goal for the database is to provide a resource for the broader scientific community, with which questions pertaining to fish population dynamics, predator-prey interactions, and the state of fisheries can be examined through rigorous comparative analyses. To date, the RAM Legacy SADB already has formed the basis of several Nature and Science papers, including our examination of the global state of marine fisheries (Worm et al. 2009), which was awarded ESA's 2011 Sustainability Science Award. Using these data, we have examined trends in abundance in marine fishes in relation to the 2010 CBD target of reducing the rate of biodiversity loss (Hutchings et al. 2010), tested if the Marine Stewardship Council's (MSC) certification reliably indicates 'healthy' populations (Gutiérrez et al. 2012), compared IUCN Red List assessments with fisheries assessments to ascertain where the real discrepancies lie between these two approaches (Davies & Baum 2012), and illustrated the importance of historical data for setting accurate baselines for marine animals and ecosystems (McClenachan et al. 2012). We also have demonstrated that recovery of overexploited marine fishes can occur quickly, but the process becomes highly uncertain the longer reductions in fisheries mortality are delayed (Neubauer et al. 2013).